The Greenwood-Afton Rural Historic District is a proposed historic district located in northwestern Albemarle County and incorporates a small area of northeastern Nelson County and southeastern Augusta County, encompassing approximately 16,200 acres. A number of historic villages are located within the proposed area, including Yancey Mills, Afton, Greenwood and the historically African-American enclaves of Newtown and Freetown. Within its proposed boundaries are a number of properties that are already listed on the National Register of Historic Places, including Blue Ridge Farm, Casa Maria, The Cedars, Emmanuel Episcopal Church, Mirador, Piedmont, Ramsay, Seven Oaks, Swannanoa and Wavertree Hall/Bellevue. 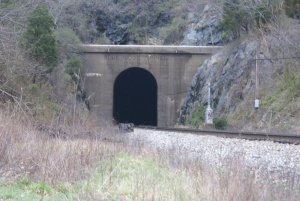 A total of 583 properties have been documented in the district, which also includes the historic Blue Ridge Tunnel. ↑ Web. Public Hearing on Greenwood-Afton Rural Historic District Scheduled, retrieved 12 Jan 2011. This page was last edited on 17 March 2012, at 12:21.